BELIZE CITY, Mon. 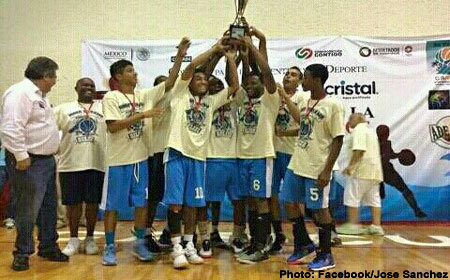 July 20, 2015–Reports from Mexico are that a Belize U-19 basketball selection, led by coach, Brads Neal, captured the championship of the Copa de Cancun Pioneros 2015 tournament which included the recently crowned Mexican U-19 National Champs, Veracruz Marlins. The Hoops Dreams Belize team is expected to arrive back home tomorrow, Tuesday, after which a press conference will be held at Rogers Stadium.